You are here: Home > T-Mobile To Release 7? Dell Tablet Known As Dell Streak 7? T-Mobile To Release 7? Dell Tablet Known As Dell Streak 7? I’m kind of stretching my own information here so bear with me as I can’t say this is factual or a definite. At the moment, our ninjas are telling us a Dell 7” Tablet is in the Pipeline for 2011, what we believe is the Dell “Claire” from all the way back to our leaked accessory list. Our source came up with another accessory list the other day that had the “Dell Streak 7” listed as an upcoming device. Today, Engadget ran two posts regarding a 7” Dell Tablet, one showing it passing WiFi certification and the other showing off a possible advertisement. I can’t emphasize enough that this isn’t rock solid but the fact that we have an accessory list stating the Dell Streak 7 is coming and today Engadget gets information regarding the Dell Streak 7 we’re looking on the up and up for a T-Mobile delivery. We know T-Mobile will be talking tablets at CES so fingers crossed we’ll find out more then! hd2 enough said. why is it not on the list? Who’s going to get anything mobile from Dell anymore, after all the horrible launches of Dell Streak, Dell Venue Pro, and Dell Aero? No Honeycomb, no vanilla Android, poor services and slow updates = Dead on Arrival. i want to see what MOTO has. if it rocks on t-mo’s network as well as my DEFY does it’s a winnah. Yea, me too. The little Demo I’ve seen of it is pretty nifty. But if I’m not mistaken, it looks like it’ll sport the VZ logo. Let’s hope I’m wrong. All in all…my go to Tab will be RIM’s Playbook :). Then again I love all my play toys…and this will make for a play toy too. I don’t care, where’s my iphone 4? exactly, I’m holding off my upgrade for the iPhone… just don’t know how long do I have to wait until it comes to Tmobile. And no! I’m not gonna use an unlocked (since I have one) or go with at&t! I was told by Dell Rep I can’t get a DVP until March, why would anybody buy this 7″ Tablet you most likely can order and pay for soon, but won’t recieve until 2012? I’ll never buy a Dell phone. Just look at how they treat Dell Mobile Phone customers. Why are people still so stuck on the iPhone 4? Do you even know why you want it other than it’s a so-called status symbol? Especially when TMO has some of the best phones on the market in their line-up? Stop whining and threatening – go to AT&T already!! Personally, I’m really looking forward to the Dell Streak, the more choices, the merrier!! If its anything like the debacle of the Dell Venue Pro, it will have only 3g, not 4g, come with only 256Mb of Ram instead of the advertised 512MB, and have the same bad customer service issues. I am a faithful T-Mo customer, but Dell’s Horrid reputation is going to look bad for T-mobile if it continues to do biz with stanky Dell. Yeah, it is a shame the way Dell has handled their phone launches. I was looking forward to the original Dell Streak for a long time and then they take forever to release it and then it just goes to AT&T. I still use Dell for all my computer needs but I am not the least bit interested in anything along the phone or tablet lines for Dell. I am actually not the least bit interested in any tablet. Seems like a niche product I have no need for. I refuse to read an ebook on an lcd it kills my eyes. Everything else I can do on my phone. I just can’t peg a good reason for tablets outside of a business need. I know this question is not related and im sorry but have any of you ever ordered from cellhub.com? is this a good place to get phone from, i have also gone through Tmobile customer loyalty but it seems i cant beat getting a mytouch 4g for $25. If any of you can give my your thoughts on this website or any stories you know of other people, please let me know so i can make a informed decision on this purchase. 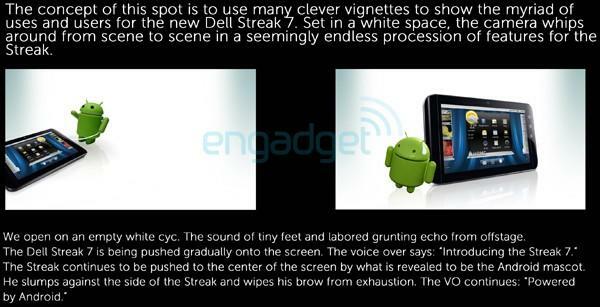 The Dell Streak 7 may be interesting though. I’ll try it out at the store when it releases. Who cares about the dell tablet. I want T-Mobile to bring home the BlackBerry Playbook. It will crush all in its path and I’m a little surprised TMoNews hasn’t put any work on finding out more info about it. I know everyone is droid boys but BB is coming hard with the Playbook. The new QNX OS is going to be the new system for there upcoming phones but will be introduced to the Playbook first. Do some research, its very cool. Why is windows working on Android devices, aren’t they supposed to be working on Windows 7 devices? Like of you agree! Or Don’t.